If you are reading this I suppose you are already familiar with GMLAN. In short, GMLAN is a communication protocol based on CAN-BUS to send data between different Electronic Control Units (ECUs) in the car like BCM (Body Control Module), IPC (Instrument Panel Cluster), EHU (Entertainment Head Unit) and so on. GMLAN is a single-wire CANBUS protocol (SWCAN) with 33.3kbps baudrate. The only thing I wanted was to sniff steering wheel radio commands and send them to control my CarPC, but this turned out very interesting for me to think of other possibilities and ways to make my car smarter. On previous posts you can see that I have an Opel/Vauxhall Corsa D which is an GM (General Motors) car. I have a spare instrument panel cluster (IPC) I bought months ago just laying around, doing nothing. I never installed it in my car as it is incompatible and needs programming with an expensive programmer which I don’t have. So, I wanted to try sniffing the GMLAN and find out the commands to start-up and control the instrument panel cluster. Connect CANH to GMLAN wire and CANL to GND. Interconnect grounds from Arduino, to MCP2515 board and your car or module you want to sniff messages from. Next step is loading MCP_CAN_lib library in Arduino IDE. Before trying to send messages, I would suggest first trying to read. In the library examples load the file named CAN_receive. For sniffing GMLAN Low Speed CANBUS, adjust baudrate to CAN_33K3BPS. 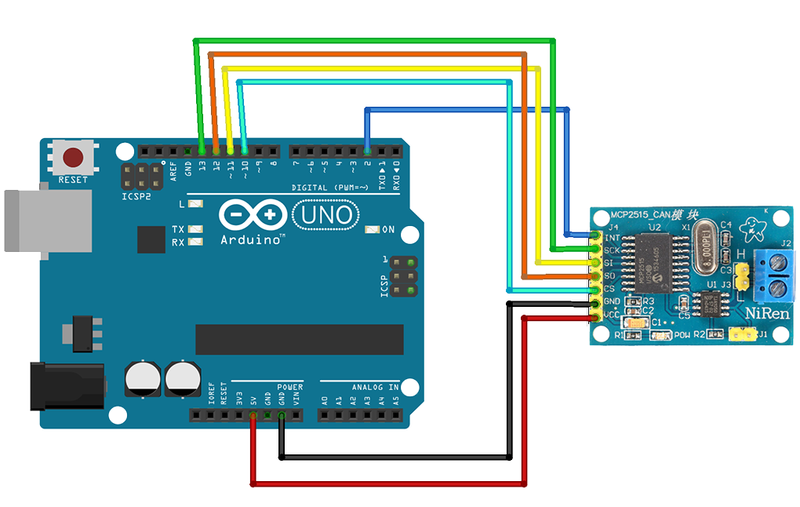 Upload the code, turn on your car or module and start the Serial Console from Arduino IDE. You can also use PuTTY or Realterm if you are using Windows, or if you are using Linux, you can just type screen /dev/ttyACM0 or screen /dev/ttyUSB0. I found the commands for starting up the IPC, rev and speed gauges, turn signals and chime. 632 0x00, 0x48, 0x50, 0x00, 0x00, 0x00, 0x00, 0x00 Wake GMLAN before transmitting data. I used CAN_send example loaded with the appropriate commands and sent them to the IPC. This entry was posted in Automotive, Electronics and tagged arduino, canbus, general motors, gmlan, mcp2515, mcp2551, opel, tja1040, vauxhall on February 5, 2017 by Dimitar. In fact, I’m currently trying to read the steering wheel controls as well, but I don’t quite have the experience with CAN. Hi – I want to be able to light up my vectra c 2006 IPC. I have bought the same kit you have here (arduino and MCP2515). I have wired it up as your diagram shows. How do I connect the IPC? Do I run 2 x 12v and the ground to the IPC from my power supply? How do I hook in the can bus wires from the MPC2515 to be able to send the commands to the IPC? Do you have a diagram of how you connected the corsa IPCs to get them to work please? Awesome project, cant wait for it. Thank you for your comment! I’m currently busy with planning and rebuilding my workshop, when I finish I will continue this project. Yes, don’t give up!) I am from Ukraine, and couple week I try to connect to my Vectra C 2006… 🙁 Today I change crystal to 16 MHz if find in my city and try again… Could I Ask you to send my soft part, and I am give some log files and other info for it? Thanks in advance! Do you still have the radio working? Is it possible to keep using it? the only thing is i am not using the TJA1040 transceiver. is it a must? Are you using MCP2515 module for Arduino? If you do, check the oscillator/crystal, and if it is 8MHz, change it to 16MHz. That board already has the transciever TJA1040 built-in. Connect instrument cluster ground to CANL and Arduino GND, and GMLAN Wire to CANH. yeah I’m using the MCP2515 module… i have ordered the 16MHz crystal… hopefully that fixes my problem. cheers for the reply. I think it might be a full list of possible canbus input for our GMLAN. Hope it helps. Awesome! Thank you. Do you have an Opel Corsa D as well? Yes I have a Corsa D restyling and I’m trying to setup an infotainment system using the Odroid platform, the same you did with raspberry. I will control Android through some of the steering wheel controls. Anyway, could you share the codes for controlling the RPM and speedometer on the IPC? Great! Here is the code to start the IPC – ID 170, HEX 74, A1, 3B. Here is the code to make full speed and RPM sweep – ID 108 HEX 00, FF, 00, 00,FF, 00, 00, 1E. Hi. i just bought same IPC for testing. But I can not find pinout of 12 pin IPC connector. Would you please let me know? Thanks in advance. Hi, I have a cluster from an AH Astra (Australian version of the Astra H/mk5). 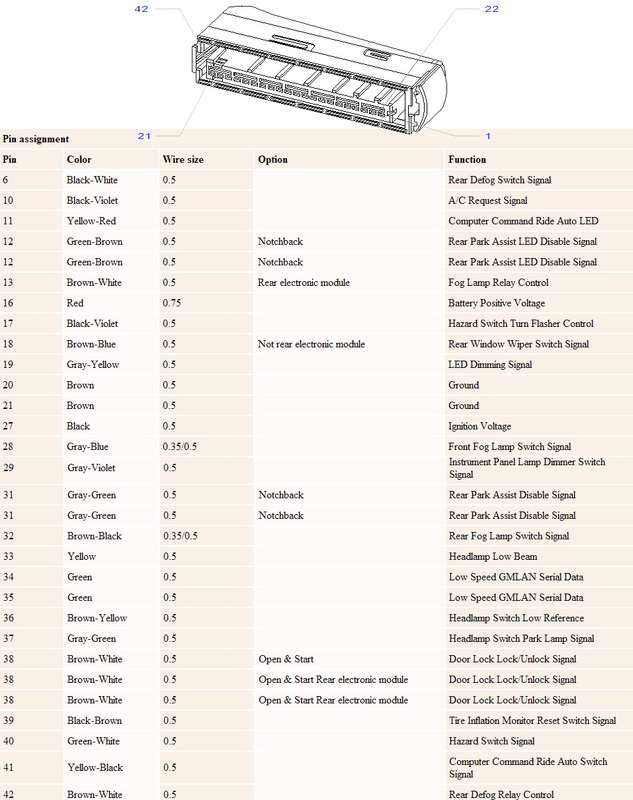 Could you please post the pinout for your cluster and the full wiring diagram for your setup. I assume it’s the same. I have posted the Corsa D IPC pinout in the comment above, so you can compare them, there is a lot of difference. Can you provide me the script you are using for sending commands? If you are using MCP2515 module with TJA1040/50 transciever you probably have 8MHz oscillator. Try configuring the library for 8MHz, or change the oscillator to 16MHz. Sorry for the late reply, I updated the post with the CANIDs used in the project. Hi, I’m doing a project on a Zafira B (same series as Astra H), but I’m working more on MSCAN and HSCAN (SWCAN is yet to come!). Your info is really helpful for my future plans…particularly the needle sweep. Have you done anything with HSCAN? I’m trying to decipher the DPIDs for pulling information from the ECU. I have Voltage, Coolant Temperature, and DPF information. But I’m struggling to find the details for Boost readings from the MAP sensor. I use can module mcp2515 tja1040 with atmega128. I can communication to can High speed 500khz. But when i connect can low to ground, can High to jump1 on obd2 which is single wire can,and config 33,3khz. But it doesn’t work. So that i use mcp2515 with TH8056, and i config 33,3KHz but it doesn’t work. Have data in Rx in mcp2515 and i config 33,3khz but not interupt occur. If anybody have the same problem, please give me the solutions. I am going to install front fog lights into my 2010 Corsa. It is not pre-wired, and and I don’t like aftermarket looking stuff. I bought a used headlight switch with the front and rear fog light buttons, and I am planning on using a 555 timer chip to control a relay for the front lights. I was wondering if you knew if there was a way to tap into the dash’s front fog light indicator light. Cheers! Are you still developing this project? I would really want to do it myself on my 2009 Corsa D.
Can you provide us the source code for the Arduino and RPi? Also, did you solve the issue with the display not fitting in the bezel? Im tying to do the same but with parts from astra H.
How i can sent the messages to wake up and turn on, for example, an IPC? How can i turn on the DIS, whitout radio? some of this messages turn on the DIS. but what is the code…..